Oak Grove is now open for the 2019 golf season! Oak Grove is the hidden gem and must play course in McHenry County! Register for our e-club to receive great e-club exclusive specials! Book your round at Oak Grove Today! Learn more about booking your event at Oak Grove. Click here to view our hole-by-hole interactive course tour! View Oak Grove's current specials and offers! 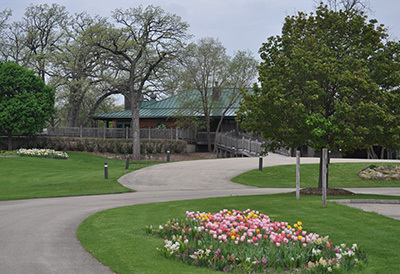 Oak Grove is open for the 2019 golf season! Among a small group of courses in the state of Illinois ranked 4 1/2 stars by Golf Digest, Oak Grove Golf Course offers a picturesque and challenging round of golf from start to finish. Experience an Audubon Certified Signature Sanctuary. This means playing on lush bentgrass fairways and true, undulating greens in a superb natural setting. It also means communing with the resident wildlife that loves this land as much as we do. You might see rare wood ducks, muskrats, cranes and any number of other beasties (who are sworn to silence about commenting on your putting!). Above all, you will experience an environment that reflects our commitment to keeping our world beautiful. As for the course--Oak Grove will challenge your abilities and mental game to the utmost, whether you are a scratch golfer or beginning player. Five tee placements on each hole ensure excitement for every skill level. Strategically placed bunkers, mature trees and wetlands enhance the challenge. Ranked one of the Chicago District Golf Association's top-25 toughest public courses from the championship tees, Oak Grove plays from 7,000-plus yards to just over 5,200. So whether you're an early morning golfer enchanted by the diamond-like sparkle of dewy greens or a midday golfer preferring your landscape in sun-splashed glory, you will relish the beauty and challenge of Oak Grove--all for affordable rates that prove that exceptional golf need not empty your wallet!